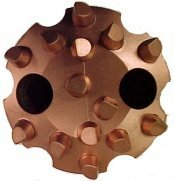 KC Bit & Supply is a supplier of bear claw, chomp, and hurricane mill bits for well completion, and pdc and tricone bits for well drilling. Call us! 940-839-8857. 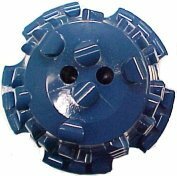 Bear Claw Mill for drilling cement. Reverse circulation. 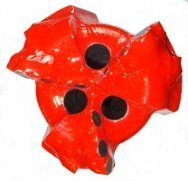 Chomp Mill for drilling cement and metal. Reverse circulation. Hurricane Mill for drilling cement. Hurricane Mill for drilling cement and metal. Aardvark full body tapered mill for milling high pressure composite plugs, cement, and cast iron. 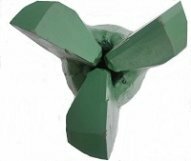 PDC mills are suitable for milling extremely hard and abrasive materials. The advantages of using a Work Over Mill are: No moving parts and no lost cones. 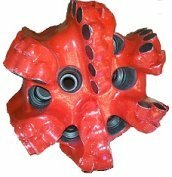 The Bear Claw, Hurricane, and Aardvark Mills are designed for specific drilling applications. 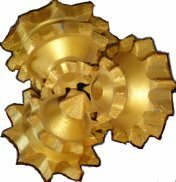 KC Bit & Supply has the LOWEST prices available on these mill bits. Tooth and button bits from various manufacturers, including Atlas Copco.. New and rerun. Button bits for all applications. 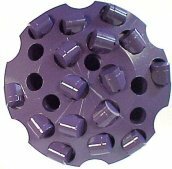 Small tooth bits for well completion. 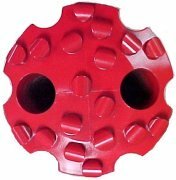 Drag Bits are economical when drilling softer geological formations and shallower depths. New & rerun PDCs available. 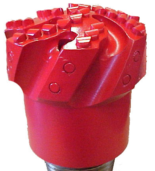 New and rerun pdc bits for all drilling applications. 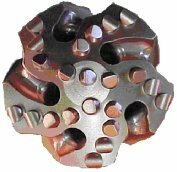 All our drill bits are manufactured according to strict standards set forth by the American Petroleum Institute (API). 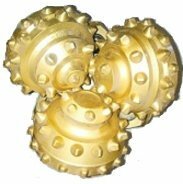 Tricones and PDC Bits are classified according to characteristics set forth by the International Association of Drilling Contractors (IADC).